Glycolic acid is a popular skin peeling treatment because it’s natural and gentle for all skin types. For years, it has been the #1 choice and used by the finest dermatologists and spas around the world. Although Glycolic Acid is a natural skin exfoliant and moisturizer, there’s some debate on the safety based on concentration levels of peels which ranges from 10% up to 70%. For example, for the peel to be effective, it should be more than 10% concentration. However, higher grades from 40% to 70% should be used by professionals. Make sure you read instructions carefully. Test the product on your hand for any reaction and always pay attention to your skin and how it feels. Glycolic Acid is an exfoliating agent and when the peel is applied to the skin it goes under the upper layers of the epidermis and removes the dead skin. This results in a smoother and more youthful appearance especially with use over time. The exfoliating effect also increases skin tissue hydration resulting in a more moisturized skin. With cumulative use, Glycolic Acid, plays a huge role in sun-damage reversal and anti-aging because of the increased collagen production from the exfoliation. Loss of collagen in the skin is what makes the skin looks mature and dull. Glycolic Acid is effective for anti-aging skin, acne scars, helps to minimize pores, fade age spots, sun damage, to name a few benefits. Because it stimulates collagen which gives your skin a more youthful look. If you want younger looking skin without going under the needles for Botox, this is a great alternative. Glycolic Acid – it’s one of the mildest with virtually no downtime because of the natural exfoliation. Lactic Acid – It’s a great peel for oily or dry skin as well as normal and sensitive skin. Glucosamine – Helps remove dead and wrinkled skin that comes with aging. When it’s delivered deep into your upper layer skin with a chemical peel, it stimulates collagen, which reduces wrinkles and fine lines. Salicylic Acid – is an oil soluble which is excellent for oily, acne skin, which needs to be cleansed and helps blackheads to be easily removed. Redness, temporary burning sensation. After the peel your skin is more sensitive to sun exposure so be sure to apply sunscreen. As for downtime, it’s minimal and you shouldn’t have any long lasting discomfort. Why spend a fortune at the dermatologist’s office? The average cost at a spa or dermatologist starts at around $120+ and up with just one treatment. An in home peel especially one with pharmaceutical grate is affordable, convenient, and you’ll get at least 4-6 uses. 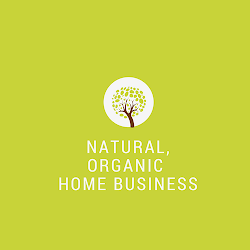 **I’m Janette Stoll and passionate about using natural products. I enjoy sharing natural and organic products that I’m personally using with others. You can CLICK HERE and learn more about this in home chemical peel and other skin care products that I use daily. 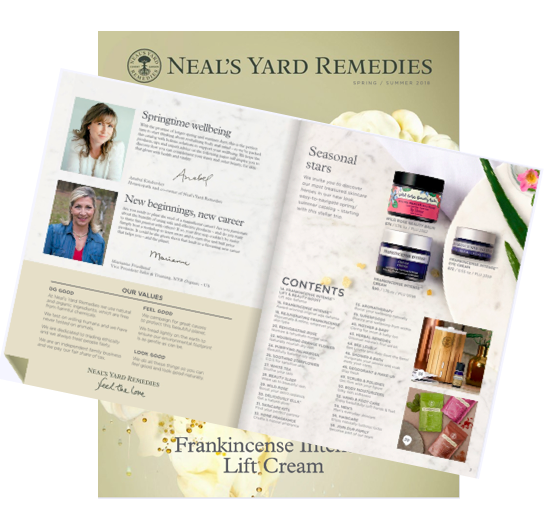 Sign up as a Client and get a FREE 5-day Skin Care Samples just for visiting :). The new year is a great time to start a business. With cheap technology it's easier than ever to start a business online if you have a computer and internet connection. Personally, starting a home based business in direct sales is a great option. Because it's affordable and flexible to suit your lifestyle. However, with so many opportunities you will need to do a careful research before you start one. Especially an opportunity that requires that you spend hundreds of dollars on stocking products or to get a "head start". You should only invest in the start up fee which for most direct sales and network marketing companies is typically no more than $100. There are always options to buy additional products when you first join. But ONLY buy if you plan on re-selling the products either through home parties or different avenues. Never BUY additional products to achieve monthly minimums or to buy yourself a higher rank on the compensation structure. That should be a red flag. Once you decide what you’re most interested in selling, it’s time to do an assessment of the core principles of business. It’s not enough to be passionate about the products. Although this is an important factor = you’ll need a business plan that includes how you're going to market and promote your new business. Products don't sell themselves. And you can't rely on your ffiends and family to build a business alone. Learning how to market your business particularly with online marketing will be one of the best investments in your new business. *Is there a need for the product you’re selling? *Is the product something people are already using and familiar with? *Is the product recurring where you can earn repeat sales? Or will you have to look for new customers because it’s a non-consumable product? *Will the products withstand tough economic times? Products that people cut back on are things they can do without. Although I'm a jeans fanatic, I'm more likely to cut back on another pair of jeans, over products that I need to use. Once you’ve identified the business you want to be in, it’s time to do an assessment of your business skills. What are you good at i.e. marketing, writing, and what sort of educational skills that you already have that you can bring to your new business? What areas you need to improve on? And are you prepared to learn new skills so you can compete in the marketplace? Last but not least, are you prepared for the challenges ahead as an entrepreneur? Contrary to what some uplines might tell their new sponsors but direct sales is not always easy. But it's not complicated either especially if you start your business with the right mind-set and understand that marketing is the lifeblood of your business. It goes without saying you should love what you’re doing because it’s too hard to find the motivation to keep at it. But you’ll also need to be honest in the business itself and consider product need in the marketplace as well as whether you’re prepared to give your best to building a new business. **If you don't have a marketing strategy for your business - get my FREE Report and use my 9 powerful tips to grow your business without bugging your friends and family. Enter your email for immediate access.